Last night, I was ordered to stay out of the kitchen and let somebody else take over. In all honesty, I was a bit hesitant about this, but I was given no choice! 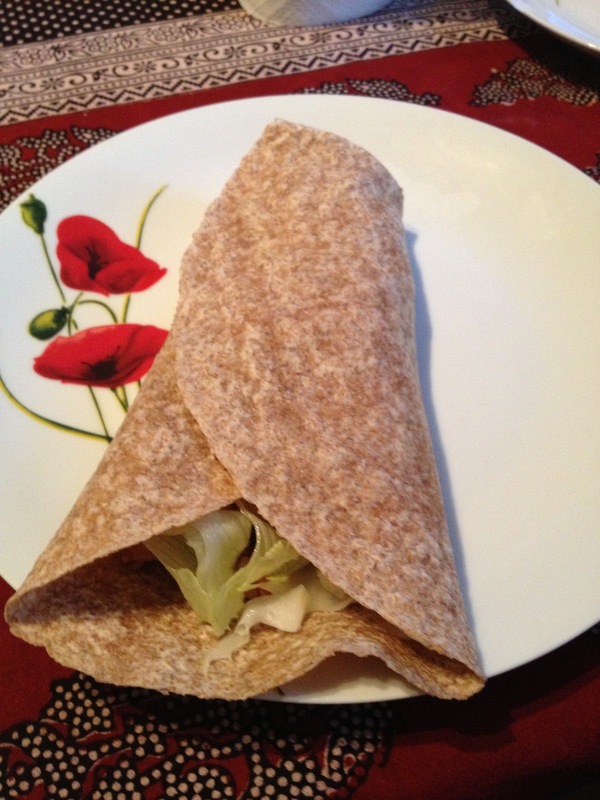 I was meeting an old friend after a few months, who suggested making fajitas, an idea my boyfriend grabbed and moulded to create these spicy chicken and halloumi wraps. While I like to think of myself as the culinary expert in most matters, I had absolutely nothing to do with this phenomenally delicious meal, so full credit to the chef, who provided this recipe exclusively to Theswindian! This is another recipe (similar to egg curry) that has a daunting list of ingredients, but is surprisingly quick. As long as you have the spices and sauces handy, it’s a simple matter of putting everything in the pan! The salty halloumi is a wonderful combination with the silky chicken, and the mixture of spices leads to a full-on taste explosion! 1) Marinate the chicken cubes in olive oil, chili oil, creole salt, smoked paprika, cumin, coriander, garam masala, soy sauce, honey and pepper. Let it marinate for at least 30 minutes (if time is short, 10 minutes should do it). 2) Heat olive oil in a pan and fry the onion and garlic. Then add more of the same spices that were used for the marinade: creole salt, smoked paprika, cumin, coriander, garam masala and pepper and fry until the onions are translucent. 3) Add some flour to the chicken and mix thoroughly. Then add the chicken to the hot frying pan. 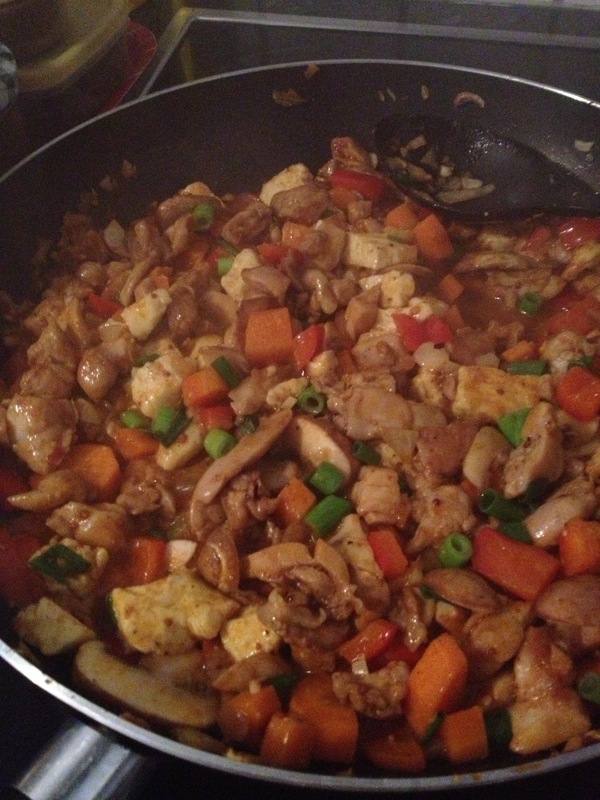 Stir and fry for a few minutes before adding the lemon juice and wholegrain mustard. 5) Add carrots, red pepper and mushrooms, stir for a few minutes and then add the halloumi. 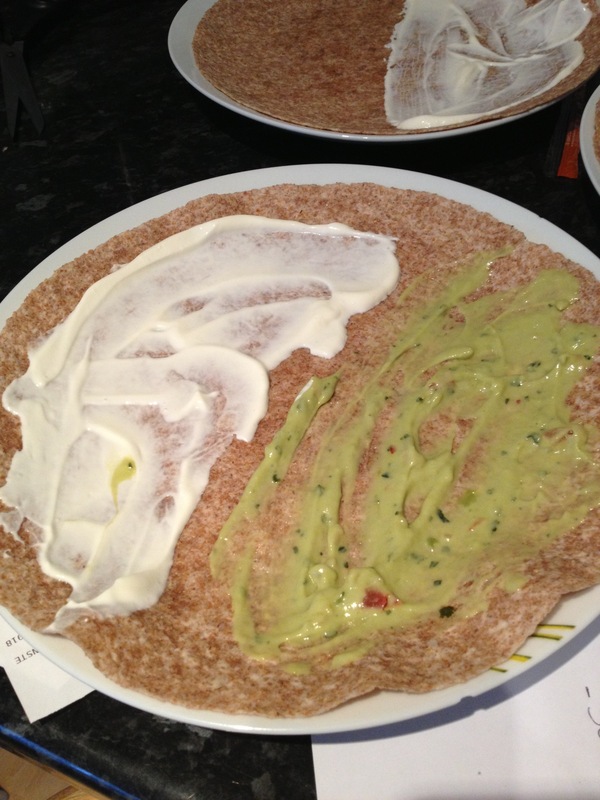 8) Prepare the wrap: Put the tortilla on a plate and spread guacamole on one side, and sour cream on the other. 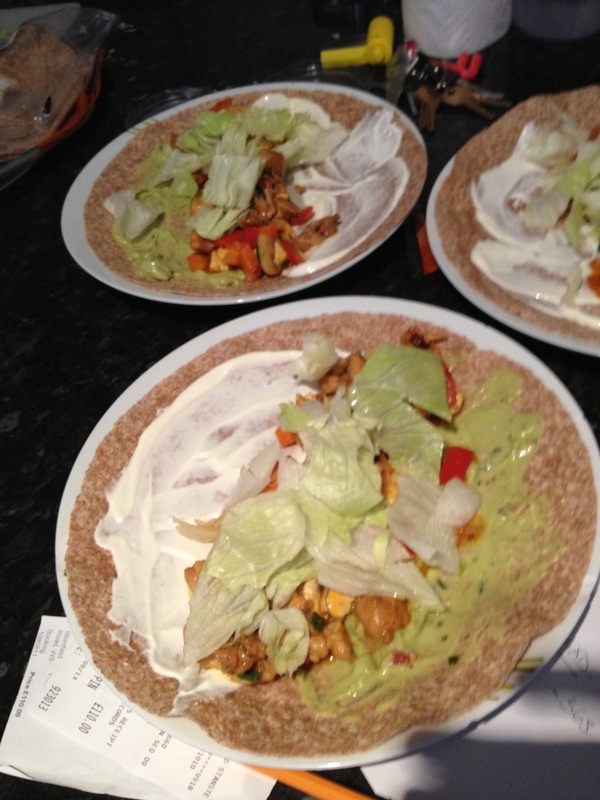 Spread the chicken-halloumi mix down the middle and garnish with lettuce. Wrap up and enjoy!